I found this smiley in one of our bathrooms. 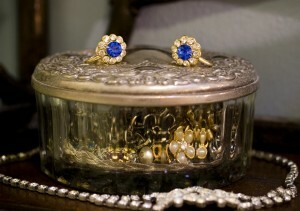 I have a shelf where I display some of my grandmothers jewelry. You know, the screw-back rhinestone kind. This has been sitting here a for a year smiling at everyone who comes through the door, not being noticed until today. My Grandmother has been gone many years and seeing this smile today brought back wonderful memories.